At Wednesday’s marathon press conference, the Prime Minister covered ground on a long list of issues, including the nationalization of Telemedia. But has he bitten off more than he can chew now that the post nationalization plans are obviously not going his way? Barrow attacked an interconnection and rental of tower space agreements signed between Telemedia and its competitor, SMART in 2004. He suggested that the contracts were not arms length transactions and that the P.U.C. had not approved the interconnection agreement. What the PM didn’t say was that when government took back B.T.L. after Prosser failed to pay, government and the PUC ran things for at least six months. During that period when they were in total control of telecommunications, both agreements were reviewed and could have been amended. The P.U.C. chose to leave things the way they were. SMART hit back late this evening and described the comments by the Prime Minister unfounded and intended to negatively influence public opinion to create a competitive advantage now in favor of Telemedia. 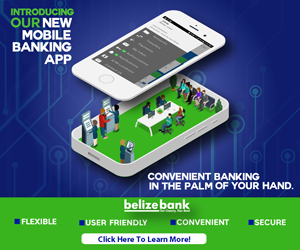 According to SMART, the Agreement was approved by the PUC as required by law and implemented by subsequent owners of BTL, which included Innovative Communications Corporation and the Government of Belize. On the unlimited duration of the interconnection contract, SMART explains that this practice is standard in the industry and cannot be limited to any time frame in order to protect customers from prolonged interruption of services. In respect of the commercial agreements on tower leases which the PM criticized, SMART says this has also been honored since 2004 and is in line with the Belize Telecommunications Act. Smart concludes that the rental fees are fair and reasonable in comparison to the fees paid by Speednet to non-Telemedia tower owners.